Make it black and white. Can I hear a voice? I need to know. There are so many decisions to make and I want to make the right choices. What should I do? I’ve had good Christians tell me to ‘throw out a fleece’ like Gideon did. God sent an angel to tell Gideon that “The LORD is with you” and ” I am sending you”, ” I will be with you”. But Gideon still wanted a sign to prove that it really was the LORD speaking to him. So God proceeded to ‘pass’ Gideon’s tests. I would hope that I would be instantly convinced if an angel came and told me a message from God. How about you? When my friend suggested I throw out a fleece, it just didn’t feel right to me. Gideon lived under the Old Testament covenant – he was not ‘redeemed’ and he didn’t have God’s Spirit living inside of him. But I do. The Holy Spirit speaks to me and guides me into truth – if I’m listening. God’s Word is alive and the Holy Spirit uses it to help me make decisions. 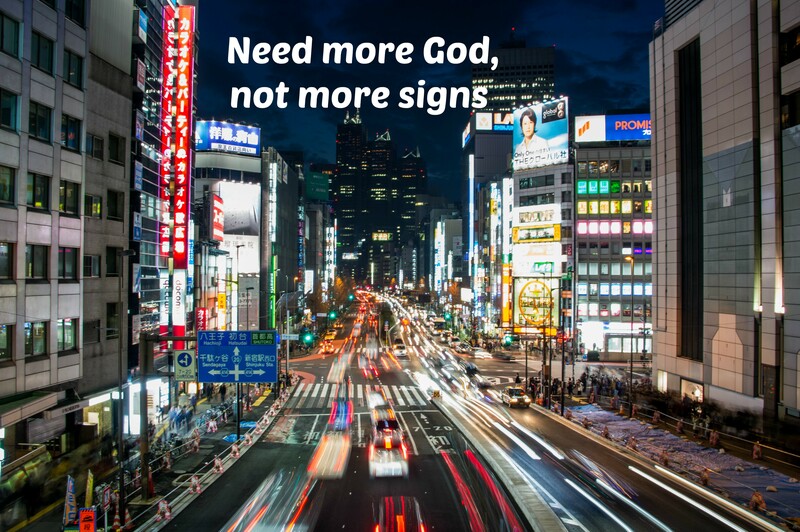 I have God’s Spirit inside of me every moment of every day – why do I need a sign? I have found that I don’t need fleeces if I’m tuned into God’s voice and spending time with him. God will also line up circumstances to confirm what the Holy Spirit and God’s Word is saying to me. I don’t have to ask for something more – I just need to keep my eyes open. The answer is there. Every once in a while, I hit a deadline on making a decision and I haven’t discerned God’s answer yet. I have found that when I totally submit the situation to God – meaning I don’t care what the answer is, I just need to know what he wants me to do – he helps me organize my thoughts and I realize he’s been trying to guide me in the right direction, trying to show me the way. I’ve just been clueless.